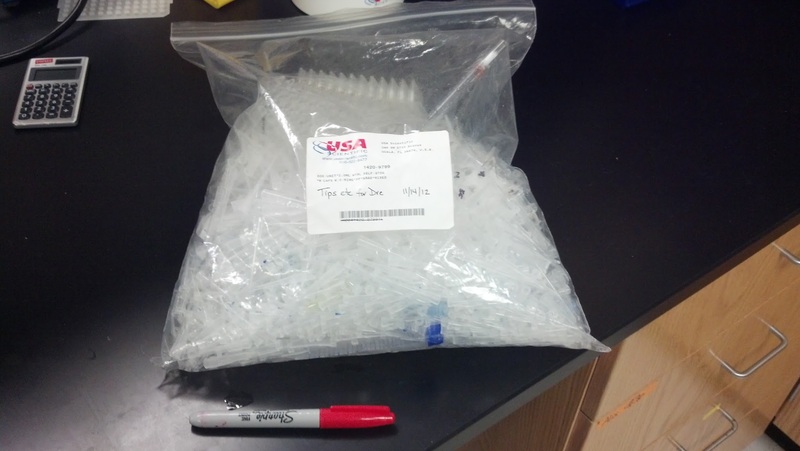 What does a day of discarded plastic from a molecular lab look like? Plastic consumables from a molecular lab. Photo by Andrew David Thaler. To complement my post earlier today on the need for best practice guidelines to minimize plastic waste in a conservation genetics lab, I asked my labmates to save all of their consumables from a day of molecular benchwork. The above picture (Sharpie for scale) is the result. All told, we produced about 1/2 kilogram of plastic (it’s hard to get a precise weight, since many of the tubes still contain liquid). With only 3 people working a the bench, this was a relatively light day.